The European Commission on Tuesday announced a humanitarian aid package worth €191.3 million to eight countries in the Sahel region. According to the EU commission, Nearly 11.8 million people across the eight countries of the region need immediate food assistance to avoid facing acute hunger, women and children being hit the hardest. The funding, the commission said, will also support disaster risk reduction initiatives that can help populations prepare better for natural hazards. The assistance will go to Burkina Faso (€11.1 million), Chad (€40.2 million), Cameroon (€13.9 million), Mali (€35.3 million), Mauritania (€11.4 million), Niger (€32.2 million), Nigeria (€35.3 million), and Senegal (€1 million). In addition, regional funds amounting to €10.8 million will also be allocated, the Commission said in a press release. Note that the European Union is one of the largest contributors of humanitarian aid to the Sahel. In 2017, the EU allocated €240 million in humanitarian assistance to the people living in the region. 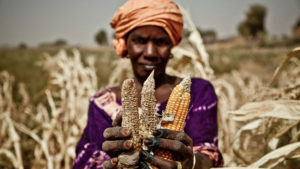 The Sahel region is facing its worst food and nutrition crisis in years. Millions of people are struggling with hunger and malnutrition. Political instability, conflict and insecurity – including extremism – in some Sahel countries are exacerbating the situation, including by weakening the flows of food, trade and aid. In Burkina Faso and Mali, some of the worst-hit populations are in hard-to-reach, insecure areas where the delivery of assistance is difficult. The ministers called for “immediate, unconditional food assistance” for the June-August period. Posted by Khalid Al Mouahidi on July 11, 2018. Filed under Zoom. You can follow any responses to this entry through the RSS 2.0. Both comments and pings are currently closed.